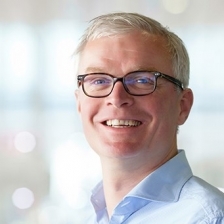 Bret Baas is CIO/CTO of RAI Amsterdam and has been a driver behind the digital ambitions of RAI well before the appointment into his current role. In his role he contributed in formulating the RAI vision for digital transformation. In parallel he has experimented with and implemented many new digital technologies along the full exhibitor and visitor journey at RAI. To enable this, he has dealt with and redesigned all aspects of the IT system and hardware landscape. He continuously stimulates RAI management and event organizers to test and embrace digital technologies.